We offer a wide array of fitness equipment to provide you the best in resistance training for visible results. In addition to providing quality equipment, our facility is an exclusive location for new product releases. 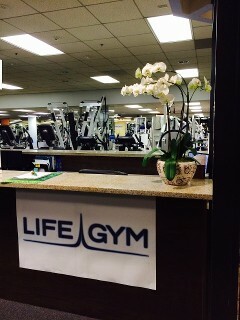 LIFE GYM offers limited membership in our state-of-the-art facility. You receive personal training and attention in an upscale environment that caters to your weight loss and fitness goals. We also provide space for independent trainers to bring clients. Request a service from the fitness and training experts in Los Angeles, California. Hours of Operation: Monday – Friday, 5:00 a.m. – 10:00 p.m., Saturday, 7:00 a.m. – 4:00 p.m., Sunday, 7:00 a.m. – 2:00 p.m.
LIFE GYM in Los Angeles, California, is an exclusive fitness and training facility serving individuals and independent trainers. We have more than 30 years' experience in quality fitness services. We are a no nonsense facility providing innovative products and services. When you walk in, you can feel the difference - our clientele create the atmosphere. Established in 2013, LIFE GYM is operated by Tim Lewitzke, founder of the original "PRIVATE EXERCISE", which set the standard for private training gyms across the country. LIFE GYM has combined forces with Athletic Physical Therapy, Inc. and many of LA's Premier Independent Trainers to create a professional atmosphere with a feeling of family. Our goal is to become THE PLACE for those who want to maintain the highest quality of life through fitness. We enjoy giving back to our clients and watching them enjoy the vitality that a healthy active lifestyle brings. Whether you need Physical Therapy, Private Training or you're just looking for a great place in a great location to workout, LIFE GYM is for you!